The credit card Apple promised earlier this year has been formally introduced, but we still have a few months before it will be available. Apple Card was designed specifically for iPhone and Apple Pay. While it is not a strictly digital credit card, Cupertino's focus was clearly on the digital aspects of it. For starters, it is built into the Apple Wallet, and users apply for it right within the app. Approval arrives within minutes and users can begin using it with Apple Pay right away across all devices. The wallet screen for Apple Card will contain all the information users need including current balance. The screen more or less offers the same functionality found in stand-alone credit card apps. 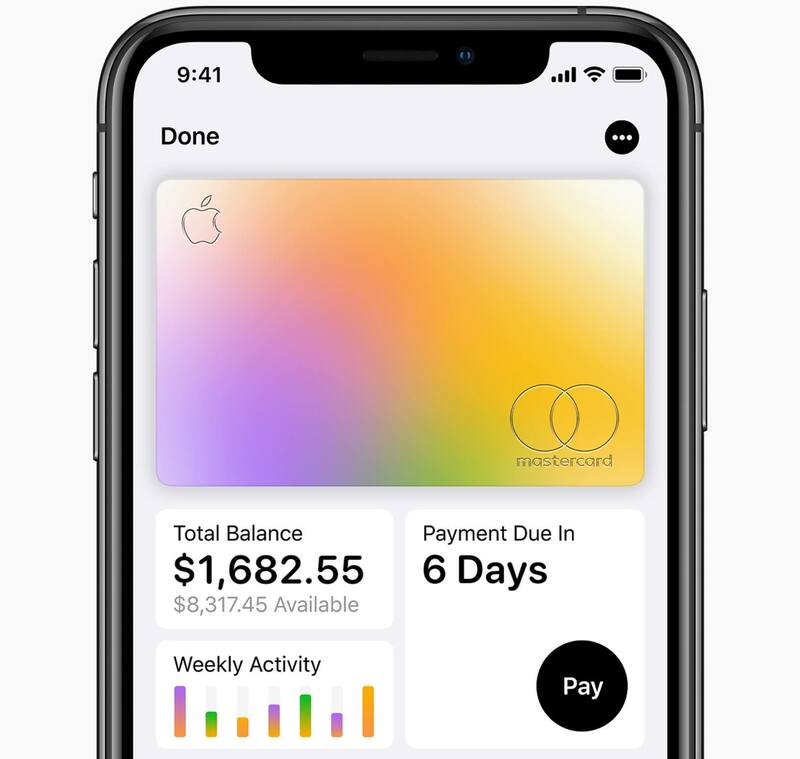 Users can monitor their spending, make payments, get real-time information on transactions, and more right from the Apple Card screen. Apple has also tried to make everything more easy to read and understand too. If you have ever looked at your bank or credit card statement and gotten confused about who that $19.95 purchase was with because you could not figure out the cryptic merchant ID, you might appreciate Apple Card’s easy to understand statements and transaction history. Apple says it uses machine learning and Maps to decipher transactions so users can know the who, where, when and how much of every purchase. Apple Card will also have a rewards program called Daily Cash. Daily cash is exactly what it sounds like. Instead of accumulating points and applying for gift cards or whatever like some credit card programs do, Apple Card gives you cash back with every purchase, which is uploaded to your card daily. Rewards depend on how you use the card. Users will receive three percent back on Apple purchases through the App Store, Apple Stores, or Apple services. Two-percent will be applied for transactions using Apple Pay. Finally, one percent will be added for all purchases paid for with the physical Apple Card (more on that in a minute). Arguably one of the more attractive features is Apple’s no-fee policy. Not only will it not have an annual fee, but it will also not charge users for a late payment, going over their credit limit, or using the card internationally. Additionally, it will not jack up interest rates if users miss a payment as other cards do. Apple has taken measures to ensure security and privacy with the card starting with a card number that is created per device and stored in the Secure Element of the iPhone. Each transaction is protected with a “one-time security code” that is generated after authentication through Face ID or Touch ID. “The unique security and privacy architecture created for Apple Card means Apple doesn’t know where a customer shopped, what they bought or how much they paid,” said Apple in its press release. 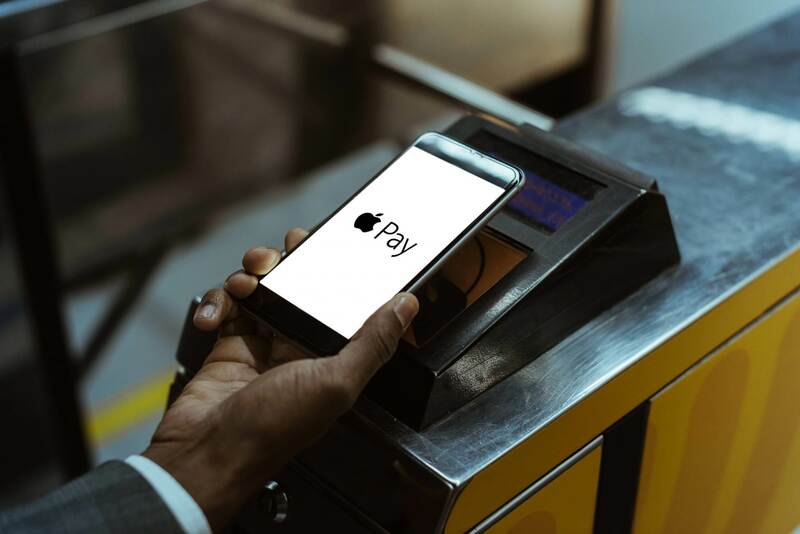 Apple has partnered with Goldman Sachs and Master Card to power the card and to bring customers a unique physical credit card that can be used at places that do not accept Apple Pay. 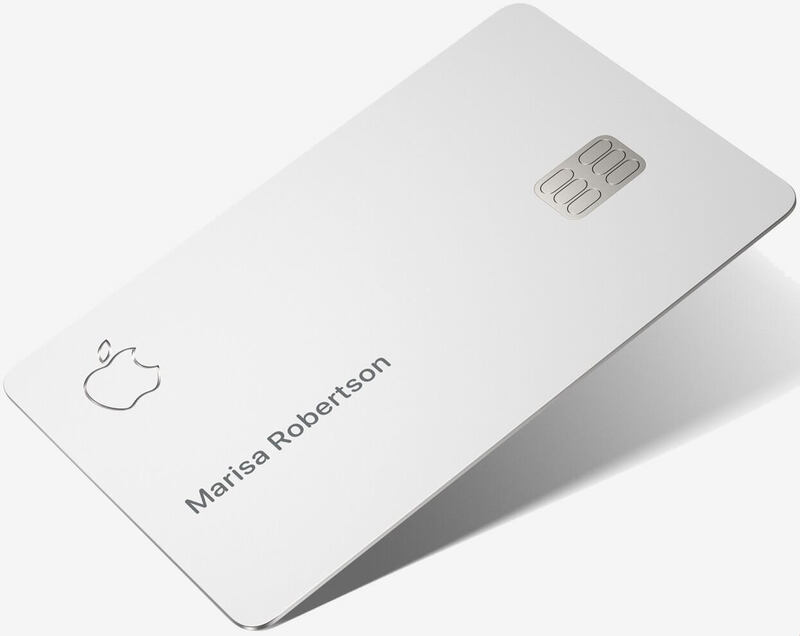 The titanium card will have the user's name, and the Apple logo laser etched on it and that’s it. No number, no signature, no expiration date, and no CCV equals no worry about someone stealing your card info. Apple notes that all of this information is easily accessible through the Apple Wallet app when you need it like for purchases over the phone. Apple Card will only be available in the United States and will launch this summer. Thanks Apple, but I will stick with Paypal! #1 I'm comfortable using Paypal at this point. #2 I'm comfortable using my Capital One Venture Card to build up points on every purchase. I pay my balance at the end of every day - making interest/late fees impossible. My upcoming Spring Break in Thailand via Emirates Business Class is so easy to get discounts on in this manner. #3 I don't know how I feel about opening a credit line with Apple. there's nothing I would stand to gain from them that outweighs my Capital One Venture's points - even when I purchase a new iPhone annually on it. Apple Mortgaging to take over the mortgages on both my homes? Apple is not helping me to bring something to the world anymore. I've never felt more alienated from this brand. Personally I'm a fan of straight cash back, vs. all the convoluted travel rewards with various rules that may or may not add up to the trip you need when you need it. Many of those cards also come with not insignificant fees. No fee + cash is the most flexible reward. Once people link their cards to Apple Pay they'll just use their phone to pay so what does it matter about "unique features" on an Apple credit card. Stupid idea that will probably be stupidly popular due to stupid people. Will just be a status symbol even though most Apple products no longer indicate any sort of status as people of any income can get them on contracts with hardly any data at a manageable price point. No doubt they'll claim its revolutionary and evolutionary. Great ! , now hackers will focus on creatig zero day exploit to break into the apple server or stored in the Secure Element of the iPhone , which by the way will be connected to a network . There's always pros and cons with this. Hope it works good. Another way to get people more into the "no cash" idea...to the point in about another generation, government can "do away" with and make cash illegal...all for your "safety and security" of course. No more bank robberies, no more convenience store hold ups, no more armor car robberies and on and on. And, people will buy into it because it is "safer". But, with the no cash comes some problems. EVERY purchase, no matter what, will be known to "someone", be it government, retailers, advertisers, foreign agents...everyone. And, when cash is illegal, and all your "money" is controlled by the banks, who, because of the federal reserve (USA), "own" how the banks operate, if the U.S. government says because of this economic crisis, or that economic crisis, "we" have to take 1% of EVERY person's money. Or, if top down, womb to the tomb healthcare comes to the U.S. say you go somewhere to eat, and try to order a double bacon cheeseburger, large fries & milk shake....BZZZZZZZZZ...sorry, according to your last health report, your BMI was too high, NOT approved. Try to buy an SUV...BZZZZZZZ...sorry, according to our report, you live in a city with a bus service, NOT approved. Think it's crazy? Everything is being prepared for a new World order where the physical money won't be needed and all will be digital , only one currency will used , and everything will be tracked and some people call it " private & secure" ,which is not at all . WOW -- what a rash of hallucinations in this thread!